The memorable catchphrases of the classic SNL “Church Lady” character played by Dana Carvey are so funny because we all know someone like that. 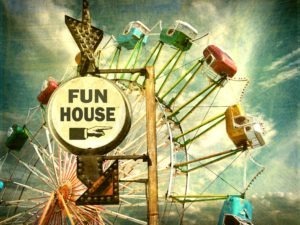 We’ve all met some super-religious buzzkill that attributes every source of “fun” as coming from the Devil himself. If you haven’t met someone like that, then maybe you’re like that. Fortunately, Contemporary Christian radio, for the most part, isn’t super-religious sounding (anymore). We even have the occasional “family-friendly” fun. But what if we just had fun and dropped the “family-friendly” part? What if our stations were the ones known for having fun? What if you were the go-to station not just for spiritual encouragement, but also for when someone just wants to have fun? As argued previously in this space, everything on your station matters. It’s either engaging or disengaging. Over 39 million Americans own a smart speaker (Amazon Echo or Google Home). It will be 100 Million within a matter of months, not years. There are approximately a billion ways to hear Christian music or get a “verse of the day” on a smart speaker. If you want your station to be a preferred destination in the voice-command world, a good strategy would be to optimize to make your radio station for fun. NOW.